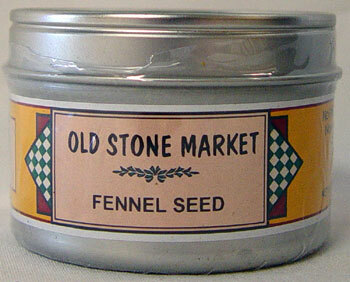 Our fennel is grown in India and is chosen for its light green color and anise-like flavor. Use in both sweet and savory foods, as well as to flavor many liqeurs. 1.25 oz tin.